In 2018, the Spirit of Truth Quilters were able to create and share approximately 180 quilts with many individuals, organizations, and families local and worldwide. All quilters are welcome to join! The Spirit Lifters meet and make cards to encourage our church family and others. 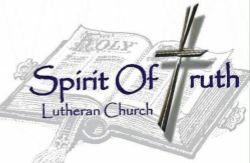 Spirit Lifters meet on the 3rd Tuesday of the month at 1:30 at the church. All are welcome to join! If you have thought about joining a group, the missions team is very active and would love to have anyone join them. We are currently collecting yarn for St. Dysmas! You can put donations in the red tote on the youth table. We are also looking for donations for the Spring Rummage Sale that is a fundraiser this year for the youth going to Jamaica! Donations can be put in the youth room or contact Alice Jacobson if you have large items that can be dropped off at the location.